Are you smart on risks, costs, and solutions to the dropped objects hazard? In a world where a drop can kill and fetching a broken tool from 100-ft. below is a real possibility, safety pros across all industries are learning how to stop drops. 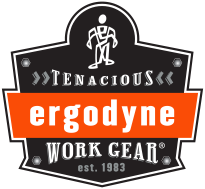 Since 1983, Ergodyne has pioneered the development of products that Make The Workplace A Betterplace™, designing gear to provide protection, promote prevention and manage the elements for workers on jobsites the world over.